As promised in my post presenting the 15 Ambassadors , here are their biographies. Kamel holds a PhD from the University of Setif (Algeria) in Chemical Process Engineering. He is now Professor of Chemistry at University of Bejaia, Director of the Laboratory of Organic Materials and Editor in chief of DOAJ-indexed Algerian Journal of Natural Products (ISSN: 2353-0391). He is the author of several publications and communications in the field of Chemical Process Engineering, Natural Products, Nanoparticles and Metal Alloys. Kamel has long, international experience in the management of Research Projects (Projects DAAD German, French Framework Programme CMEP…) and Coordinator of two Algerian Research projects CNEPRU, PNR …). Kamel is the DOAJ ambassador in region of North Africa. Vrushali is Head Librarian at AISSMS College of Engineering College Pune, Maharashtra, India. She completed her Master’s from the University of Pune and has completed a Library Automation and Networking course from IGNOU Open University. She was selected for “International training program on Management of Electronics Information and Digital Library Lib@Web 2013” that ran from October 2013 – December 2013 at University of Antwerp, Belgium. In 2014, she received a grant from VLIR-OUS to attend “VLIR-UOS workshop ‘Training Information Literacy with Southern Partners’, coordinated by the University College Leuven-Limburg (UCLL). She is winner of ALCTS Online Course Grant for Library Professionals from Developing Countries for course Fundamentals Of Collection Development and Management (FCDM) March 2014. She is one of three DOAJ ambassadors in India. Sridhar holds a PhD in Plant Physiology from the Indian Agricultural Research Institute and is part of the Agricultural Research Service of the Indian Council of Agricultural Research (ICAR). Currently, he is working as Senior Scientist at ICAR Research Complex for the Eastern Region. Apart from his studies related to plant physiology and phenology of horticultural crops, he is passionate for Open Access, Open Data and Open Education. He founded a community of practice, ‘Open Access India’ and is advocating the opening-up of agricultural research information and data. He is one of three DOAJ ambassadors in India. Mahmoud is the founder & CEO of Cybrarians, the Arabic Portal for Librarianship and Information. He is an Associate at IFLA International Leaders Programme, 2016 and since 2013 is a board member of the Egyptian Library Association. Also in 2013 he was the winner of the Scientific Research Academy’s prize in informatics. He holds a PhD in Information Science from Cairo University. He is an accredited trainer for the IFLA BSLA Program (Building Strong Library Association), as well as a Fellow at Jay Jordan IFLA/OCLC Early Career Development Fellowship Program. He is the editorial manager of Cybrarians Journal, the first electronic Arabic journal on librarianship & Information science. He is the DOAJ ambassador for the region of the Middle East and the Persian Gulf. Ivonne has a Master’s in Social Sciences with an emphasis in Education at FLACSO-Argentina and holds a B.A. in Education from the Universidad Autónoma del Estado de México (UAEMex), where she currently works as lecturer. She is specialized in scientific Open Access publishing processes and has experience in the evaluation of scholarly publishing practices. She has worked with institutions and organizations at a national and regional level in the training of students, teachers and researchers on issues regarding scientific publishing in Open Access. Ivonne is the DOAJ ambassador for the region of Latin America. Solomon is Academic Staff, with rank of Lecturer, at the Addis Ababa University (AAU). Apart from his role at AAU, he is also a Co-Founder of Code4Ethiopia which advocates for open data. In addition, Solomon coordinates nationally an Open Access Programme for the international network Electronic Information for Libraries (EIFL). He is a local organizer in Ethiopia for an international network called Open Knowledge International. Solomon was a project manager for Ethiopian Journals online. He is also a PHD candidate at the University of South Africa. Solomon is the DOAJ ambassador for the region of East Africa. 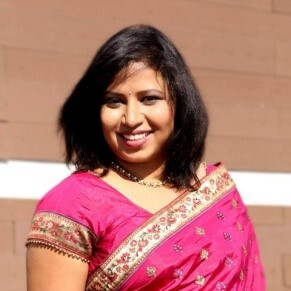 Leena Shah holds a Master’s Degree in Information Studies from Nanyang Technological University (NTU), Singapore and a Bachelor’s degree in Engineering. After living and working for nearly two decades in Singapore she relocated to Bangalore, India, in May 2016 and is keen on promoting Open Access in this region. She was previously employed as an Earth Sciences Librarian at NTU where she gained experience in teaching and promoting open access, institutional repositories and scholarly communication in general to researchers and students. Leena is one of three DOAJ ambassadors for India. Cenyu has a Master degree in Computer Science from University of Helsinki and she is currently a PhD candidate in Information Systems Science at Hanken School of Economics in Finland. She has spent several years on Open Access research with a particular focus on studying questionable and non-English language OA publishers or journals. Her latest research interest expands to the identification and development of infrastructure services and support practices to promote open access movement in Chinese region. Cenyu is one of three DOAJ ambassadors for China. Ina holds a Master’s Degree from the University of Pretoria (South Africa) in Computer-Integrated Education, a Higher Education Teaching Diploma, and two degrees (BBibl and BBibl Honors) in Library and Information Science. She is Planning Manager at the Academy of Science of South Africa, and has vast experience of Open Access in general, scholarly research activities, repositories, and Open Access journal management and publishing. Ina is the DOAJ ambassador in the region of Southern Africa. Pascal is from Burkina Faso, West Africa. He has a Master’s degree in Library and Information Science from the library school of University Cheikh Anta Diop of Dakar, Senegal, and is preparing a dissertation for a Master’s degree in communication. He has worked for the past 11 years as a librarian for the World Health Organization in Burkina Faso, as well as teaching in three library and information colleges there. He has solid experience in information retrieval, user training, and institutional repositories. Pascal is the DOAJ ambassador for West Africa. The biographies of our fantastic team of volunteer Ambassadors for Russia will be posted here shortly.